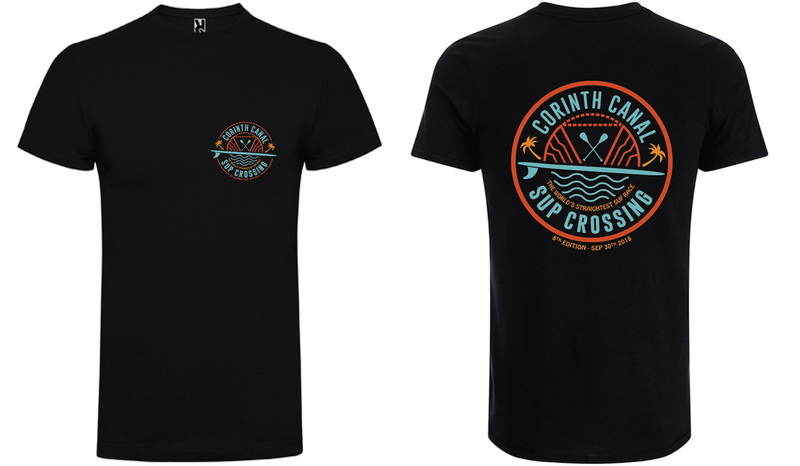 Nice thirts and Caps have been designed special for the 8th Corinth Canal SUP Crossing 2018. Apart from the Event Lycra, which all participants will receive the day of the Race, during the On-Line Registration you can order souvenirs, such as a Cotton Tshirt or/and a tracker cap. See you ALL at Corinth Canal!